It's a treat to be able to share a current design project on my blog. Most of what I work on needs to be kept under wraps before it appears in books and magazines. I was delighted to make these butterflies for National Nonwovens Quilt Market booth. They manufacture gorgeous wool felts and roving products. The company supplies me with a selection of their product for my publishing work. 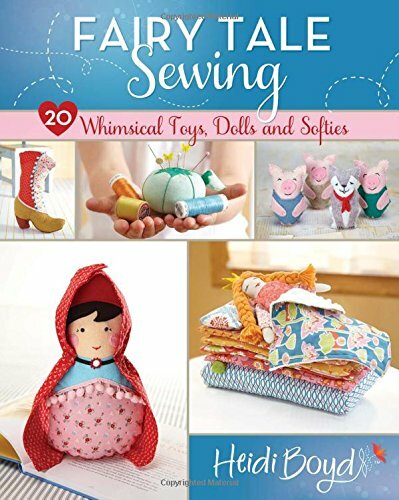 I was especially grateful to have an array of their felt on hand while I worked through the designs for my newest book Stitched Whimsy, A Playful Pairing of Felt and Fabric (October 2011 North Light books). They chose a butterfly theme for their trade booth and asked me to make a pair. Once I pulled out my butterfly guide and stack of felt, I couldn't stop at two. I expanded the project to four distinctly different butterflies in order to better showcase their product. To make the pattern I simply folded a sheet of paper in half and then used the guide to draw half a butterfly wing. I cut the wing shape out of both layers of paper. Once unfolded I had a symmetrical paper pattern for the first layer of felt. I continued using the folded paper technique to make two to four additional smaller patterns for the overlays. I stacked and pinned the wing layers together. In some cases I snipped holes or cut triangular darts into the overlays to reveal the color underneath. I machine stitched the layers together, creating a decorative network of freestyle seams. The butterfly bodies began with a twisted chenille stem armature that I wrapped in wool roving. I needle felted all sides of the body to insure the roving was tightly anchored in place. The final step was to hand stitch the back of the body to the finished wings. If you're in Salt Lake City for the show be sure to stop by the booth and check out my warm woolen butterflies from Maine.